Coffee? Yes, please. With alcohol? Even better. When it comes to classic cocktails, it’s hard to compete with the joy that is an espresso martini. And while some might argue that this menu staple has had its day, others will back it as an absolute must-have for any self-respecting cocktail bar. But no matter what side of the debate you sit on, I’m pretty sure we can all agree there’s no better way to kick off a night out than with a healthy dose of caffeine-infused booze. Anyway, enough talk. Here’s where to find the best espresso martinis in Perth. 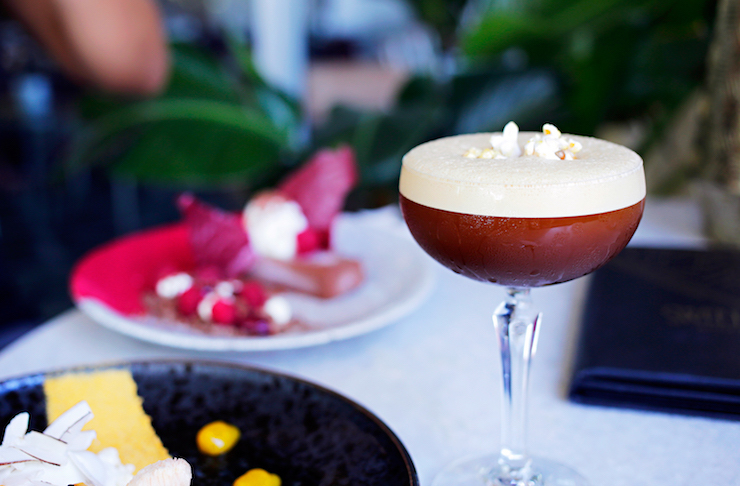 Henry Summer might be the most beautiful bar in Perth, but it's not all about looks here—their version of an espresso martini is worth coming for! 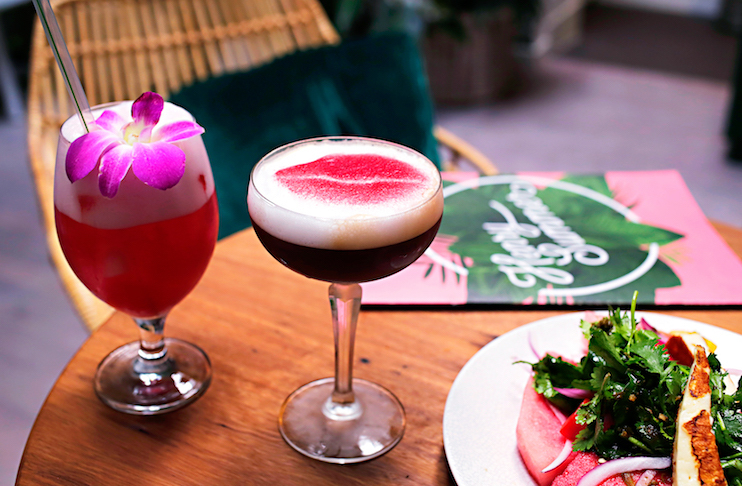 Their Coco Kafé is made with Colombian coffee, rum, vanilla, coconut foam and a raspberry kiss. Like your cocktail with a side of pizza and rock n roll? Alfred’s Pizzeria is the place for you. Tucked away downstairs on Barrack Street, they’re open from 3pm to 12am every. damn. day. Get at it. Clarence’s has long been a favourite for everyone in Perth, and that’s not about to change. This cosy bar and restaurant has been whipping up some of the best espresso martinis in Perth for as long as we can remember. Once you find it, we guarantee you won’t want to leave. As one of Perth’s original laneway bars, Ezra Pound has a firm focus on cocktails, and a speakeasy vibe to boot. Capturing the chilled vibe South Freo is known for, Percy Flint is a great place to drink (and eat) the day away. Their espresso martini is nothing short of amazing, featuring rum and caramel, and topped with toasted marshmallows. Yep ah-huh, marshmallows. Tucked unassumingly in the heart of Northbridge, 399 Bar offers a signature espresso martini that is pretty hard to beat. And with some of the friendliest service going around, you’ll definitely want to stay for round two. Resplendent in crushed velvet and old-world charm, Halford offers a contemporary take on a 1950s lounge bar, and a refreshing twist on the classic espresso martini with cold-brew, rum and ginger. Ooh, fancy. Sweetwater's cocktail list is a thing of beauty and their espresso martini is no exception. The espresso pop is taken to the next level with butterscotch schnapps and walnut bitters and it's topped with delicious popcorn. Yes please! One of Freo’s first small bars, Who’s Your Mumma takes their cocktails seriously with a menu that changes on the regular. But that doesn’t mean they won’t whip up a mean classic. Come for the espresso martinis, stay for the good times. As the second venture from the Who’s Your Mumma owners, you know Daddy Long Legs is going to be good before you even set foot in the place. Think share-friendly eats, a huge range of craft beers, and of course, all the delicious cocktails you can drink. Cruising across the Causeway has never been more worthwhile. Coffee and desserts tend to go hand-in-hand, so it’s no surprise that Measure on Beaufort Street is serving up the goods. And with an entire menu dedicated to espresso martinis, it’s the perfect place for a good old-fashioned date night. Seamlessly making the switch from a bustling cafe during the day to vintage-inspired bar/restaurant in the evening, you’re bound to find something you like at Henry on Eighth. The venue even boasts an art gallery, so head upstairs to the lounge bar and enjoy some culture with your cocktails. As many a good night has ended at The Moon, it seemed only fitting to end our list with their delicious take on the espresso martini. With Kahlua, chocolate and salt in the mix, they’ve got your late-night dessert cravings covered. No Menu's Grappacino is all sorts of delicious. With grappa, Amaretto, vanilla and a healthy dose of espresso, this will give your night a good kick in the right direction. Want to master making espresso martinis at home? Click here.